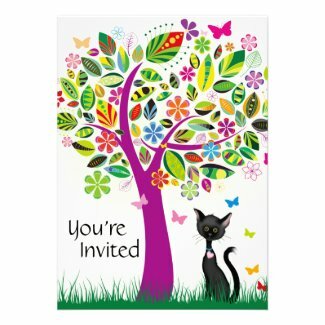 This pretty flower tree invitation is great for girl's summer birthday parties. It features a variety of colorful flowers, leaves, butterflies and a cute black Siamese cat. Each invite can be personalized with your birthday girl's name and party details. 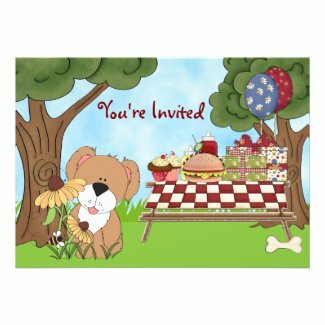 These adorable puppy dog invitations are perfect for summer birthday parties. 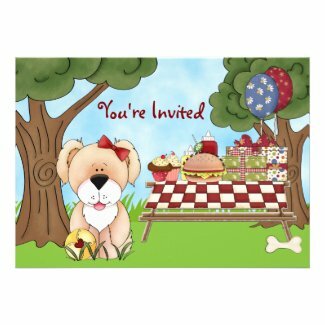 Choose from two designs that feature a few different picnic puppies with hamburgers, hot dogs, cupcakes, gifts, balloons and other fun picnic party accessories. 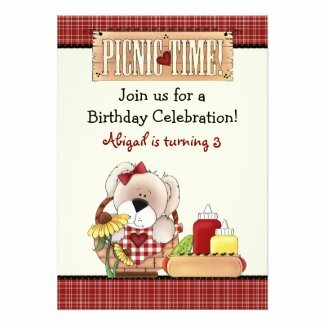 Each invitation can be personalized with your birthday girl's name and party details. Select any invite below to view additional information and edit.